The Versa Note, Nissan’s popular and versatile hatchback, has earned its official 2019 price tag for the U.S. market. With a starting Manufacturer’s Suggested Retail Price of $15,650 for the Versa Note S, $16,550 for the SV, and $18,360 for the SR, the 2019 Versa Note adds some notable enhancements from its previous model year. Taking its infotainment connections to the next level, the 2019 Versa Note will offer Apple CarPlay™ and Android Auto™ compatibility and SiriusXM® Satellite services via the available NissanConnect system. A Bluetooth® Hands-free Phone System, 7.0-inch color touch screen, and Streaming Audio via Bluetooth® and Siri® Eyes-Free come standard. 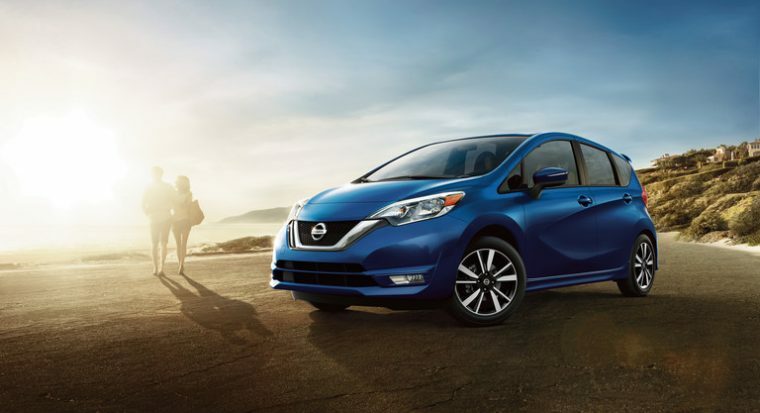 The three well-equipped trims of the 2019 Nissan Versa Note feature a 1.6-liter DOHC 16-valve four-cylinder engine, which is paired to a Nissan Xtronic transmission. This powertrain will deliver an impressive EPA-estimated fuel rating of 39 mpg on the highway. Inside you will appreciate 18.8 cubic feet of cargo capacity while the cabin measures a volume of 112.9 cubic feet. Adding to the spacious feel of the hatchback is versatile storage afforded by the available Divide-N-Hide® system, which allows valuable items to be stowed away and a floor that adjusts based on the height of your cargo. The SR trim, the highest level of the Versa Note models, stands out with details such as a rear spoiler, 16-inch machine-finished aluminum-alloy wheels, a sport leather-wrapped steering wheel, outside rearview mirrors with integrated turn signals, suede-like seats, and body-color side sills. Seven exterior colors — Gun Metallic, Deep Blue Pearl, Fresh Powder, Cayenne Red, Aspen White, Super Black, and Brilliant Silver — are available for the 2019 Versa Note.